Spading and subsoiling in a single operation! 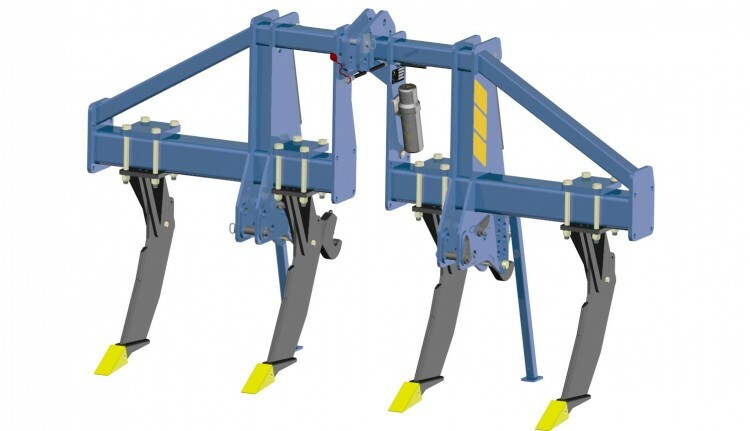 Out in the field, there is a need for a cultivator that can easily be combined with a spader at low cost and with less tractive force. It has been found in practice that compaction occurs deeper than the surface soil under some conditions. You want to break up this often poorer subsoil but not to mix the surface soil. It is important to create so-called “cracks” so that air and plant roots can penetrate to deeper soil levels. There is also no longer hard pan that retains water and directs it upwards (capillary action) and downwards. The machine is designed to be mounted close to the tractor, with the spader coupled very closely to the ‘Culter’ without the tines making contact with the spade shaft when bolts shear. The Culter 3.0 makes it possible to rip and spade, just to rip or just to spade. The machine is very versatile in this regard. 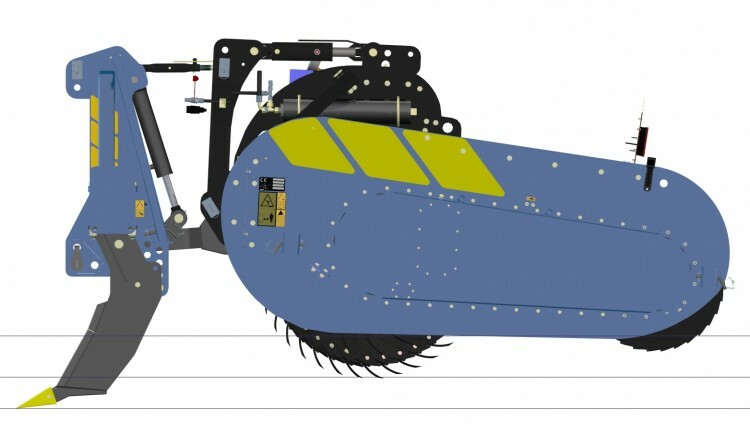 The Culter can also be combined with other tools such as a loose roller, power harrow, rotovator or disc harrow. 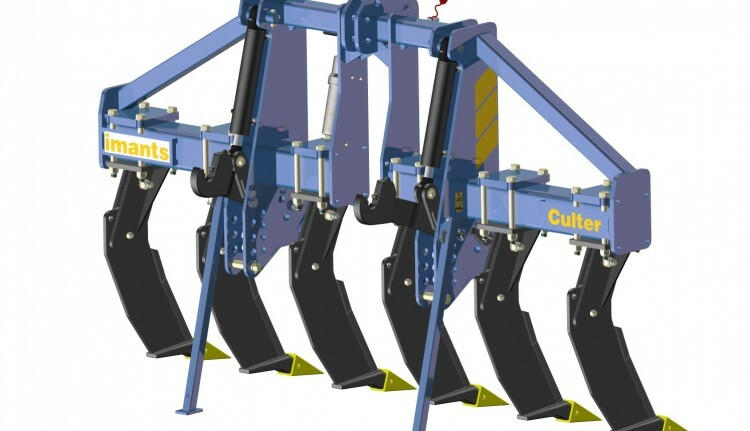 The many features offered by the Culter 3.0 make the machine unique in relation to other machines on the market. The Culter 3.0 comes with 6 straight Culter tines as standard. These tines have been designed with the aim of requiring minimal tractive force, creating optimal yields and less costs per hectare. The Culter tines are made of high tensile steel with easily replaceable wear parts. They ensure even lifting (and breaking) of the subsoil without unwanted displacement of the upper layer and with a uniform soil profile across the entire working width. As a result, oxygen penetrates the soil and facilitates capillary action. The Culter is sand-blasted as standard and then powder-coated for optimal service life. It also has a hydraulic system with a lifting capacity of 3,000 kg. The machine has a maximum working depth of 60 cm and is suitable for tractors up to 400 hp. Of course it is also possible to work with fewer Culter tines. These can easily be mounted at different separations.